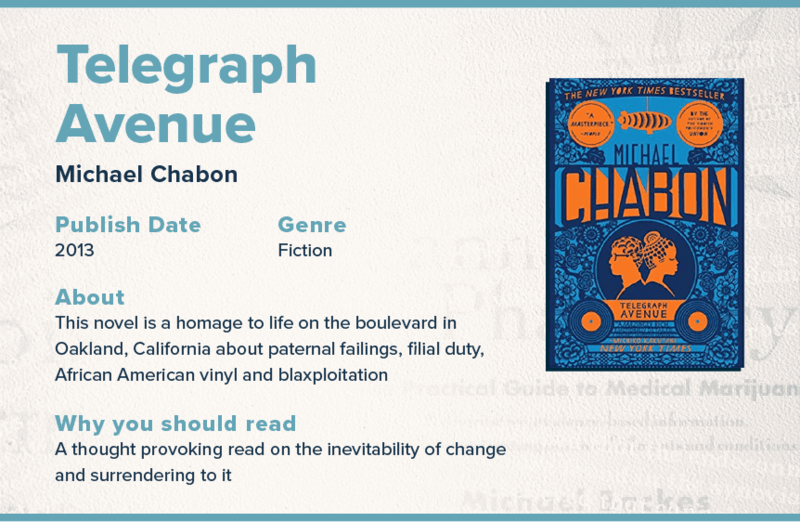 From heady philosophy and travel thrillers to personal accounts of the counterculture era, there’s no shortage of intellectual reads that capture the various eras in American culture. These classic stories hook readers in and take us back in time to evaluate the events of decades past — some of which are still relevant today. In fact, it’s not surprising if you lose track of time as you dive into their page. This iconic book from the 1970s features elements from two well-known magazine assignments — the Rolling Stones and Sports Illustrated. 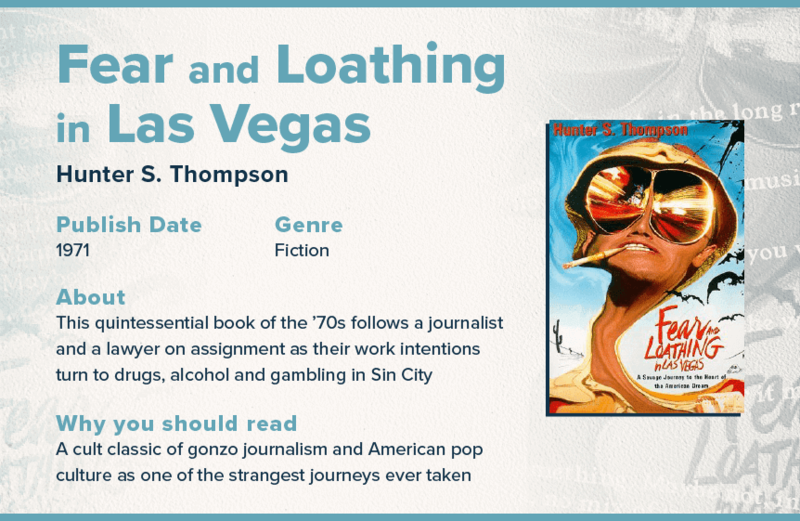 In this American pop culture classic, you’ll experience an adventure from Los Angeles to Sin City, diving into the work of both a lawyer and a journalist as heir assignment intertwines with an adventure of drugs, alcohol, and gambling as they descend upon Las Vegas. In fact, there's even a road trip you can take to relive the experiences of the book. 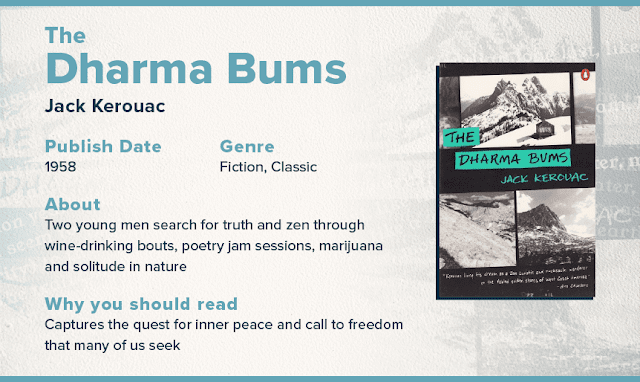 Jack Kerouac’s book is the story of two men seeking inner peace and freedom — something many of us also learn for. And this story takes us through their events to find it. From wine drinking bouts and poetry jam sessions to traveling to the High Sierras for a better understanding of solitude. This 1985 classic work of fiction is a must read for anyone who’s also on a search for a sense of meaning and zest for life. In a nutshell, this story wonderfully captures the late 90s urge to fight boredom and chase foreign travel. But it’s far more than that. Enter the world of English traveler, Richard. 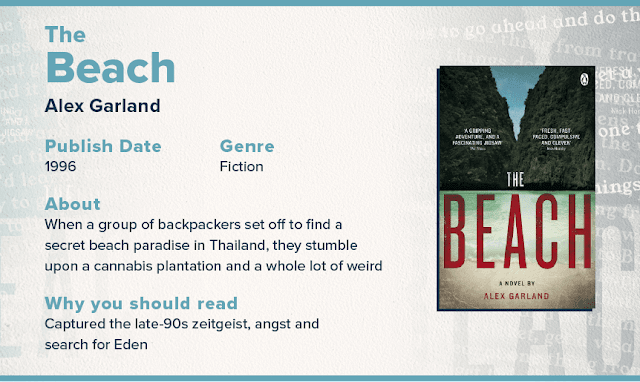 He’s determined to find a secret beach paradise located in Thailand — essentially a place unspoiled by other travelers of his generation. But as his adventure develops he runs into his own unique troubles with locals. 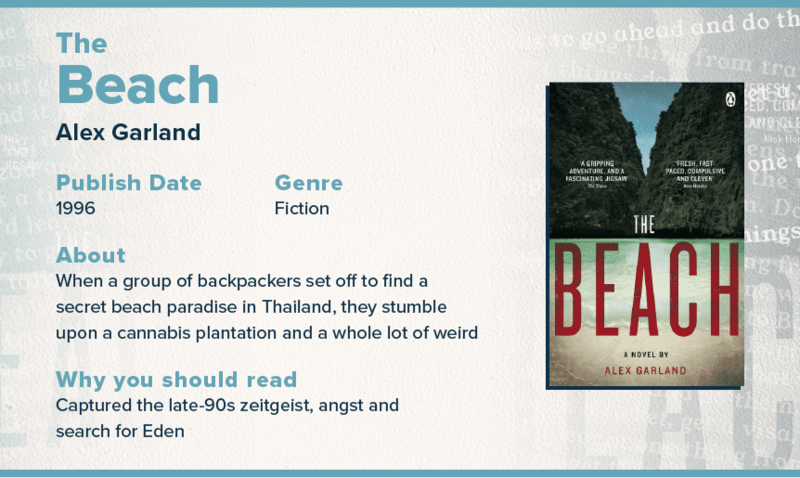 This read combines both dark tones and lovely scenes of relaxation that one might imagine when they picture a beach in Thailand. Published recently in 2013, Michael Chabon’s novel is based on the real Telegraph Avenue in downtown Oakland. The story revolves around the fate of a used record shop, about to be swallowed up by mega-entertainment store. The theme centers around the impact of change and pays homage to Oakland culture: a combination of college students that roam with $7 coffees in hand, hipster artists, homeless and blackexplotation. It’s the reality of life on the boulevard and the inevitability of change. There’s no shortage of stories that capture Amerian culture, but these four reads are a great place to start when it comes to understanding some of the different themes that have stood out over the years. So, set yourself somewhere comfortable and crack open the pages to learn more about these classics from different areas and how they speak to the unique aspects of American life.